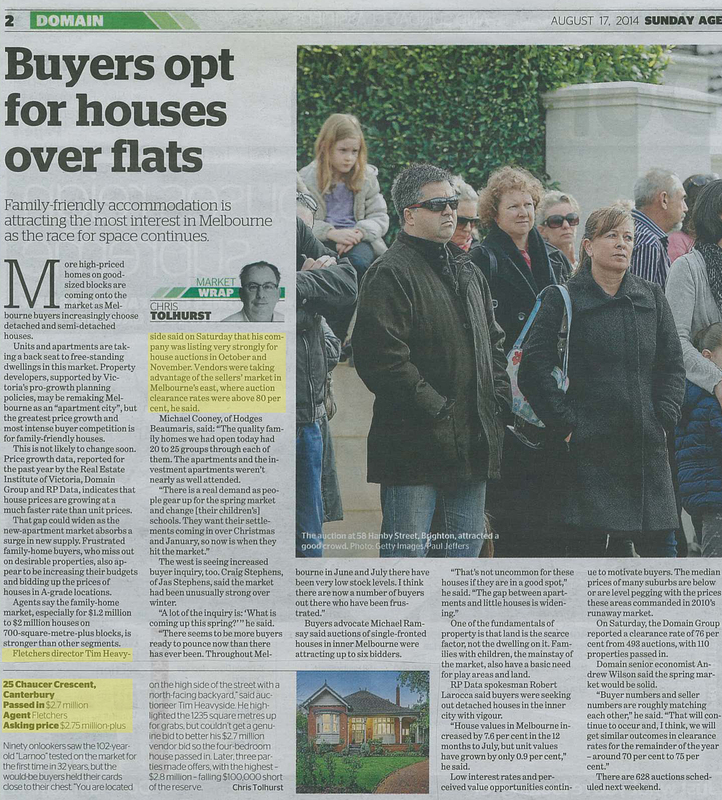 I was quoted in the Sunday Age yesterday, after a successful auction weekend for Fletchers. With the sale of 25 Chaucer Crescent after auction on Saturday, we posted a success rate of 92% across our eastern suburbs network! Certainly looking forward to what should be a busy and exciting spring.